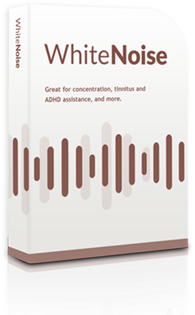 Experience the Wonder of White Noise! eliminate distractions — with our signature recording. 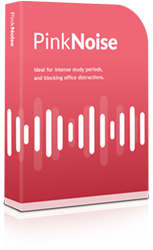 Are you ready to enjoy the life-changing benefits of White Noise? The static tones in White Noise make it particularly good at blocking out background noise, sharpening your focus, and reducing tinnitus symptoms. Our signature White Noise recording helps you to completely mask all background sound. It's proven by science, and available as a 70-minute CD or instant MP3 download. White Noise is a special sort of sound signal. It is generated by computer, according to a precise mathematical algorithm. It sounds a little like TV static, and helps to mask background sounds. This stops distractions and can help boost concentration, promote healthy sleep, and soothe headaches. You can learn more about White Noise on Wikipedia, by clicking here. How do White Noise recordings work? White Noise recordings mask background sounds. To explain how they work, let's start by explaining the color white. As you may already know, white is created when all other colours are mixed together. That's why when you shine white light at a prism, you see a rainbow of colours coming out of the other side. White noise is similar: it's a combination of all audible frequencies, all played at once. Because all possible frequencies have something "playing" in them, any other background sounds instantly lose their impact and become less distracting. What do White Noise recordings sound like? White Noise sounds a lot like gentle TV static, or a high-pitched waterfall. The more you listen to it, the you can hear happening. It's an incredibly enjoyable experience! You can listen to a sample of our signature White Noise recording by clicking here. Noise Colors.com sells a variety of noise "color" recordings - White Noise, Pink Noise, and Brown Noise. You can purchase these recordings on CD or as instantly downloadable MP3 sessions. 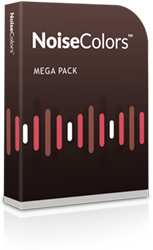 All purchases come with a FREE downloadable workbook on using your session. And it's yours absolutely FREE of charge, when you purchase a copy of the main session today. To listen to a sample of our White Noise recording with oscillation, click here. What can your White Noise recording help me with? You can use our signature White Noise recording whenever you wish to block out background noise. Scientific studies have also shown that it also has numerous other benefits, such as assisting to minimize ADD.